The quality of service and the ease and speed at which the family, who has lost its breadwinner, is able to get the claim makes a difference between the family feeling secure or feeling anxious about their future. The biggest moment of truth in life insurance is when a death claim has to be paid. The quality of service and the ease and speed at which the family, who has lost its breadwinner, is able to get the claim makes a difference between the family feeling secure or feeling anxious about their future. While buying a life insurance policy it is important that not only you but your family is fully aware of the process of making claim because if the life insurance claim get rejected it defeats the very purpose for which the policy was bought in the first place. Almost all the cases of claims rejection are on legitimate grounds. Hence, understanding the causes for claims rejection would help you ensure that the claim filed by your loved one never gets rejected. Here are some of the common reasons why the claims get rejected. Most common mistake which Indian life insurance consumers make is not to fill the form on their own. Never view the process of filling the form as a time consuming and cumbersome process. Instead you should diligently fill each and every information required to be filled in the form correctly. Life insurance policies get issued basis the details you provide in the proposal form. While the policy may get issued even if you have not provided any information, the claim may get rejected if the life insurer finds out that you had not provided some material information in the proposal form. If you have not filled the form yourself, there are chances that the person who is filling it on your behalf may fill incorrect information or avoid giving medical history if it could lead to rejection of proposal in medical underwriting. Hence, fill your form yourself and provide all the information to best of your knowledge. Information provided by you in the proposal form is of critical importance as it is used by the insurers to fix the premium. This information includes your age, occupation, income, smoking habits, alcohol consumption, pre-existing disease, family history, details of other policies you hold etc. Every information asked for in the proposal form is relevant and hence you should make sure that you do not conceal any such information. 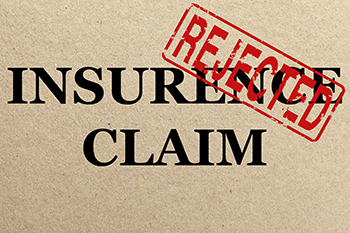 Claims which are made on account of pre-existing ailments may get rejected by the life insurers in case they are not revealed in the proposal form. Pre-existing ailments are defined as any ailments for which the policyholder had either symptoms or was diagnosed and received medical treatment for same during the 48 months prior to the first policy issued by the insurer. Such pre-existing diseases, if any, should be declared and not withheld. Failing which, the possibility of claims rejection on the ground of medical non-disclosure is there. Your life insurer will only settle the claims on the policies that are active. So, it is essential to regularly pay the premium on time. Life insurer is not liable to settle the claim for the policy that has lapsed due to non-payment of premiums. Should you miss paying the premium on time, you should ensure that the same is paid within grace period to avoid policy lapsation. It is essential to update the nominee details. It is natural to name the parents as nominee if the policy was bought when the person is single. It is important to change the nomination to include wife and children in the nomination post marriage and starting your family. This will ensure that at the time of need none of your immediate dependents are short of monetary support. While the new regulation ensures that death claims cannot be rejected for more than three year old active policies, it is important to take all the precautions mentioned above as you may not know when the need may arise. It is better to play safe than be sorry because you don’t want the dreams of your loved ones to be ever compromised. The author, V Viswanand is Senior Director and Chief Operations Officer, Max Life Insurance.